This post follows the ancestry of Anne Sewell's great-grandmother, Margaret Keene. Margaret Keene married Alverey Grazebrooke. Their daughter Margaret married Henry Sewell. The Grazebrooke ancestry is very lengthy and was the subject of my last two posts. There is not as much information about the Keene side of the family but here is what I think I know about them. Thomas Keene lived in Sutton Coldfield, Warwickshire. Like most of Anne's ancestors we do not know where or when he was born and his parents are also unknown. We do know that he died in about 1559 and that at least some of his children were grown and married at that time. So, I am guesstimating that he might have been born around 1500. Thankfully, we also know that Thomas was married to a woman named Margaret Gibbons, the daughter of William Gibbons. It's so rare to know the wife/mother's name for people of this time. For much of it's existence Sutton Coldfield was a manor, not a village. Because it, the manor, was held by Richard Neville, the Earl of Warwick, aka The Kingmaker, it suffered greatly when the Earl was killed in 1471, fighting the wrong side of the War of the Roses. What little town there was, was falling apart by 1500. The manor house was torn down and it would seem that nothing much would happen in this little backwater town. But a local man named John Harman would change all that. William Gibbon's first wife was called Agnes Harman. She was the daughter of William Harman a yeoman of Moorhall Farm. The date of birth of William is unknown, I have seen 1435 on multiple family trees but I have no idea where this date came from. Also, can I point out, in case you come across this on ancestry.com, that William was never knighted and was never called Sir William. Agnes' mother was Joan Squire, daughter of Henry Squire. William and Joan had several children including Agnes and her brother John Harman. John, born about 1462, was obviously an extremely smart young man. He attended Magdalena College in Oxford and began a career in the Church. He was befriended by Thomas Wolsey,who also attended Magdalena. Thomas was one of Henry VIII's closest advisers. John rose through the ranks of the church and eventually became Bishop of Exeter in 1519. The bishopric came with an income of about 1500 pounds, a very nice income. John changed his surname to Vesey when he became a Bishop. He was held in such high esteem by Henry VIII that he was appointed tutor to Princess Mary. 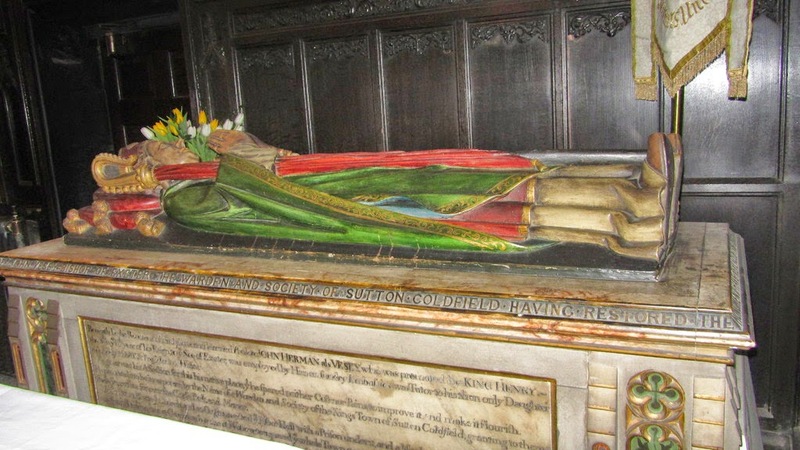 John and Anne's mother, Joan, died in 1520. When John returned to Sutton Coldfield for her funeral he made note of the dilapidated state of the place. He acquired land and built himself a grand residence which he called Moor Hall. This house was torn down and replaced with a new Moor Hall which is now a hotel. 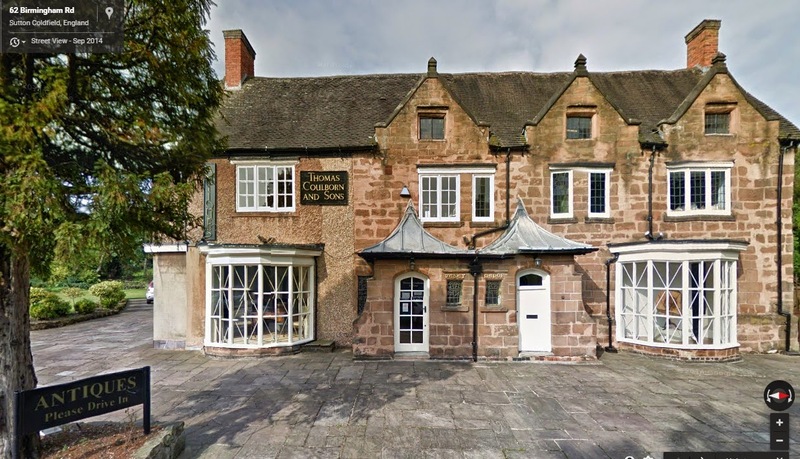 He started a grammar school for boys and in 1528 he prevailed upon Henry VIII to grant Sutton Coldfield a charter of incorporation. Bishop Vesey was also responsible for improvements made to the Holy Trinity church in Sutton Coldfield, where he is buried. A new town called for a new form of government. 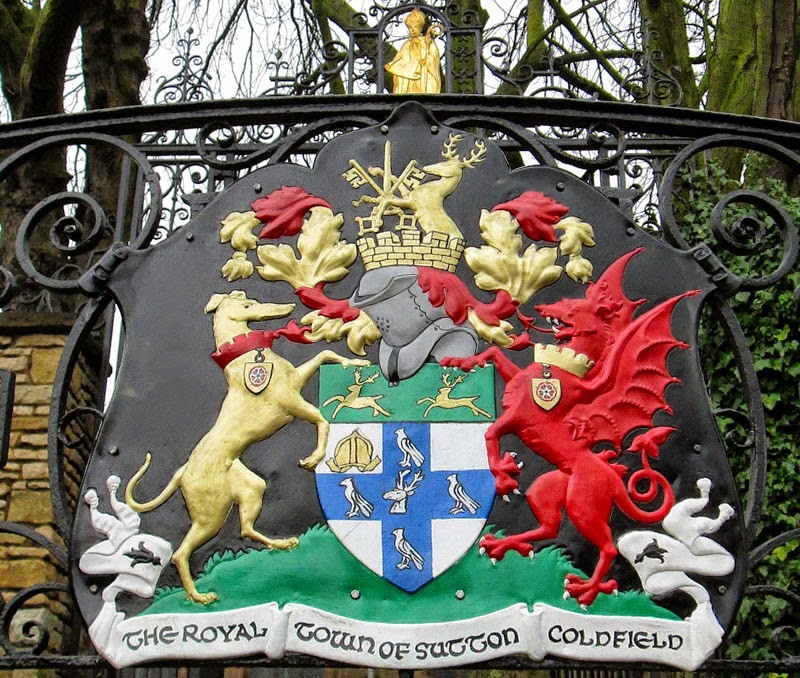 The town was led by a Warden and a group of 25 men called the Society of the Royal Town of Sutton Coldfield. The first man chosen as Warden was William Gibbons, the husband of Anne Harman Gibbons. Thomas Keene held the position of Warden three times. The Vesey/Harman connection elevated not only the town but any family connected to John Harman. In his will Thomas Keene appointed his well beloved son-in-law, Alverey Grazebrooke to be his executor. Thomas died on 27 Dec 1559. Before Alverey had a chance to take the will to probate, Thomas Keene's son, Thomas, sold some of his father's belongings, mostly farm equipment, to Robert Fox. Alverey sued Robert Fox for the return of the equipment, or damages, because he had yet to probate the will. This turned into a scholarly legal battle in 1565 with Justices arguing both sides. It was included in a law review written by Edmund Plowden in what is known as Plowden's Reports. I tried to read the case but found it hideously boring and could not make heads or tails of it. Obviously, it was an important case as it drew the attention of Plowden. The will no longer exists so we don't know what it said.